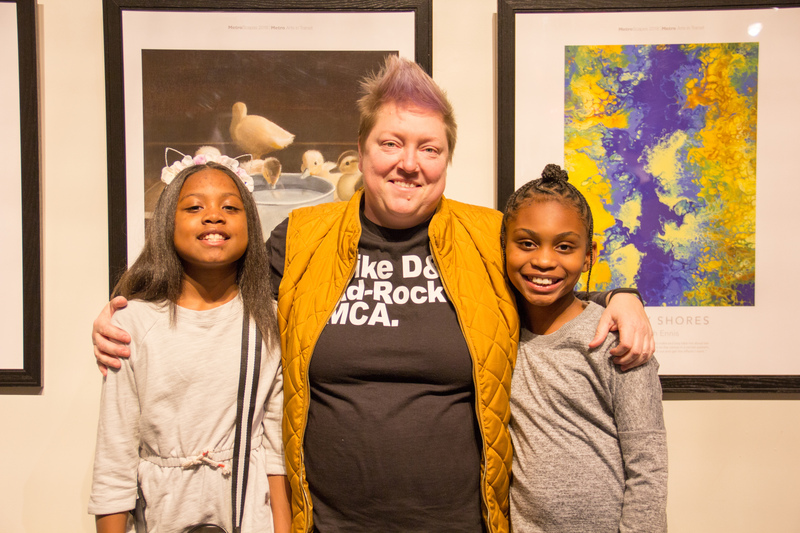 When Theresa Hopkins attended a Metro Arts In Transit bus painting event in Pagedale this fall, she didn’t realize her visit would lead to something much bigger for her and two of her art students. Hopkins, an art teacher at Jefferson Elementary in the Normandy School District, helped plan the Normandy Arts Festival with Beyond Housing on October 20. It was at this event where a new opportunity started to take on some color. Those two young artists were Eliyah Grimes-Jackson, 9, and Tyler Carlis, 10. For Tyler, she’s already hooked to the world of art, specifically painting. 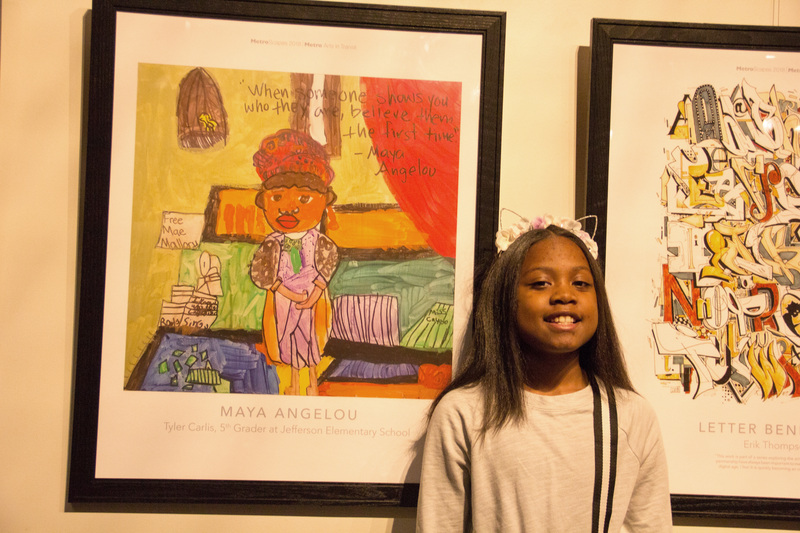 Her winning piece, Maya Angelou, showcases the American poet with a variety of colorful shapes and textures in the background. 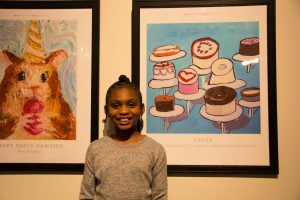 Fourth-grader Eliyah’s winning art piece – which she actually painted in second grade – delectably reveals a subject everyone can get behind: cakes. 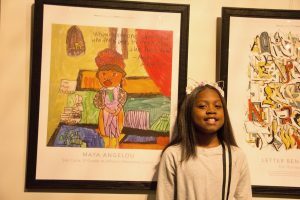 Even at a young age, Eliyah understood the power of art beyond the canvas. She knows art can bring a certain sprinkle to someone’s day. Hopkins started the art academy about four years ago at Jefferson Elementary, and since then, it has grown to include about 70 young artists. Demand for her organization has gotten so high that entry to the academy is by invite only. To celebrate the two winning submissions, Hopkins is already thinking of ways to inspire all of her young artists. Metro Arts in Transit selected 10 local artists for the 2018 MetroScapes program. Now in its fourth year, MetroScapes is a public transit art program that showcases local art at Metro transit locations. The program is supported by funding from the Regional Arts Commission.